“The Fama of Menino Jesus of Colvá. 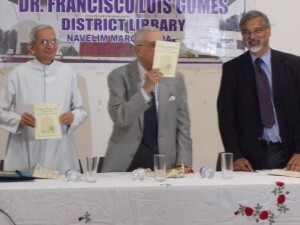 Faith and Festivity across History”, a book by José Venâncio Machado, was launched at a function at the District Library in Navelim, Goa, on 12 October 2013. The book was launched at the hands of Justice Eurico Santana Da Silva, Former Judge of High Court of Bombay, and was presented by Rev. Fr. Nascimento Mascarenhas, Goan historian and the author. Respectively, they represented the Court of Justice, the Catholic Church and the Community of Colvá, Goa – the three main players in the history of the two statuettes of Menino Jesus of Colvá, venerated each year during the Fama. In his address, Justice Eurico Santana da Silva commended the research conducted by the author and remarked that an important event in the history of Colvá was documented through this effort. Similarly, Fr. 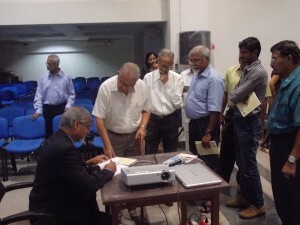 Nascimento Mascarenhas underlined the importance of the awareness of histories such as these and congratulated the author for his valuable research, inspite of not being a historian by profession or having had prior experience of research of this quality. The author, José Venâncio Machado, later presented a history of the Menino Jesus statuettes, depicting with the help of archival material how the original statuette, now in Rachol, reached there and how a replica of the image has since been venerated in Colvá. 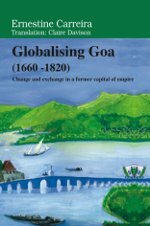 Dr Teotónio R. de Souza, former Director of the Xavier Centre for Historical Research, Porvorim, has written the Foreword for this book.